Apple has announced new iMacs. It has been 652 days (but who’s counting) since Apple last updated their popular all in one desktop computers. Appearance wise the new iMacs look like every other iMac that has been released since 2012. 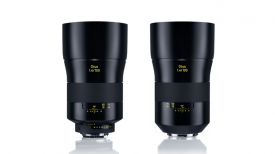 The new models also use the same 4K and 5K displays as the previous generation. Rather than anything remarkable, the new iMac’s are more of an incremental improvement in specifications than anything else. The latest iMacs have been updated with Intel’s latest 8th and 9th-generation Core processors. 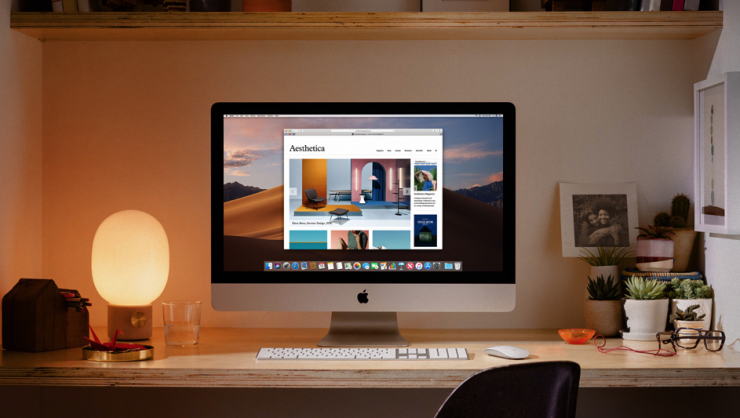 The 21.5-inch 4K iMac is available with up to a 3.2GHz six-core 8th-gen Core i7 and a Turbo Boost up to 4.6GHz, while the 27-inch 5K iMac can be ordered with up to a 3.6GHz eight-core 9th-gen Core i9 with Turbo Boost up to 5.0GHz. 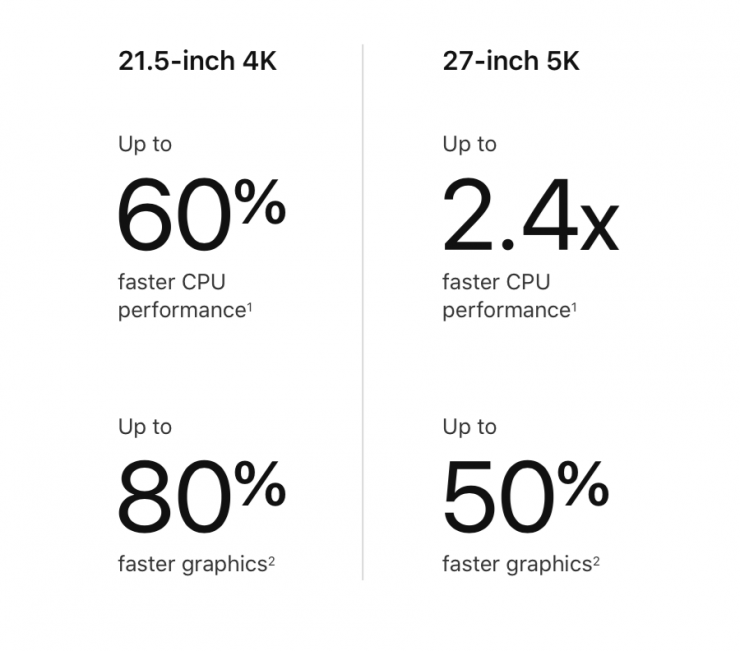 Apple claims that the 21.5-inch 4K iMac has up to 60% faster CPU performance than the previous generation as well as up to 80% faster graphics. The 27-inch 5K iMac is claimed to have up to 2.4x faster CPU performance and up to 50% faster graphics than the previous model. 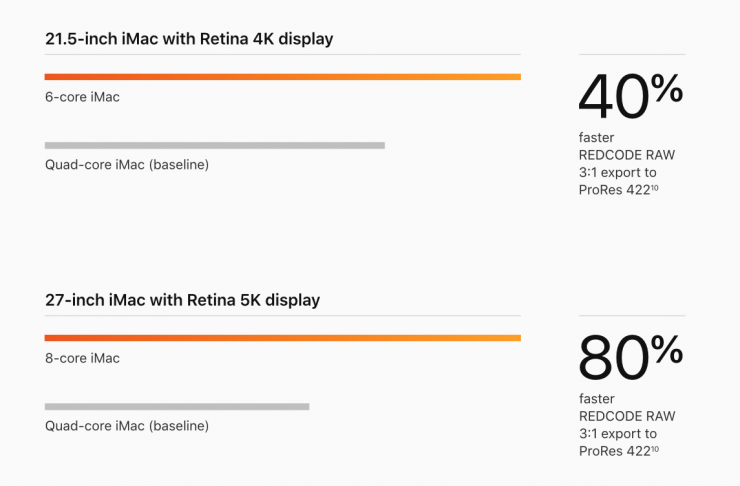 If you are a FCPX user, Apple claims that the 27-inch 5K iMac (8-core version) can export 3:1 REDCODE RAW to ProRes 422HQ 80% faster than the previous generation. 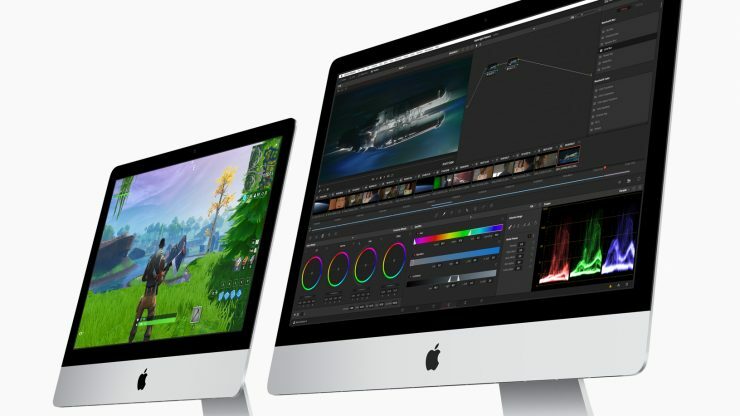 The new iMac features a Radeon Pro 500X series graphics card. 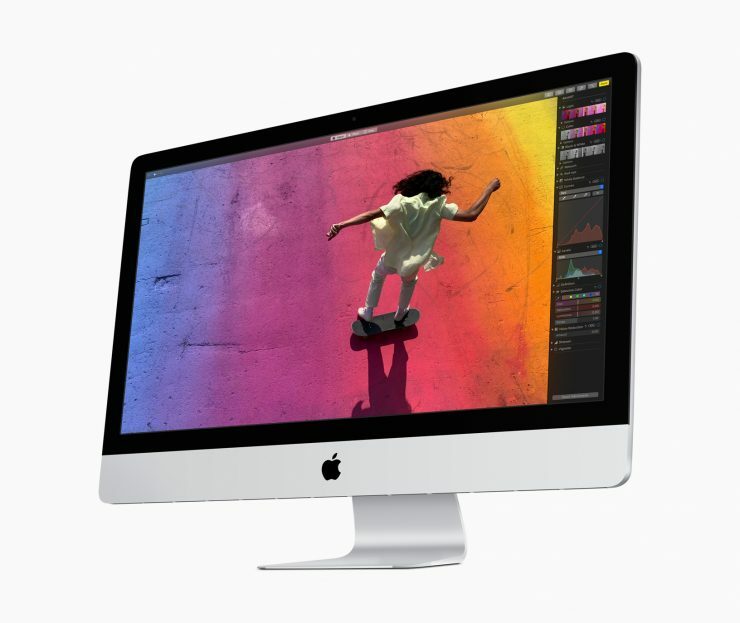 The 27-inch iMac with Retina 5K display can be loaded with up to 8GB of dedicated VRAM. 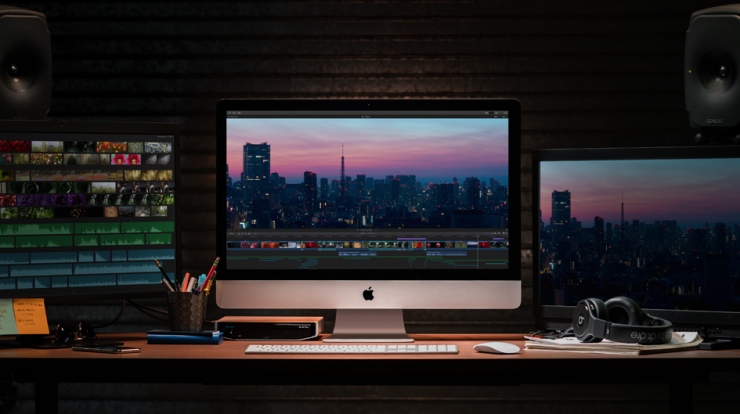 The 21.5-inch iMac with Retina 4K display is capped at 4GB. For even better graphics performance, Radeon Pro Vega GPU options are available. 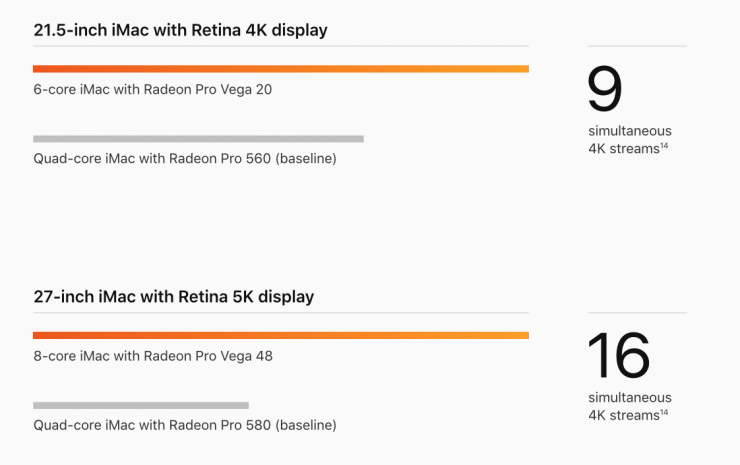 Vega is the same graphics architecture found in the iMac Pro. It utilizes High Bandwidth Memory (HBM2) which doubles the memory bandwidth to the GPU. Both the 27-inch and 21.5″ versions are available with either a Fusion Drive or SSD Drive. SSD is available at up to 2TB for the 27-inch and 1TB for the 21.5-inch imac. As far as memory is concerned, you can choose up to 64GB of faster 2,666MHz DDR4 memory for the 27-inch iMac and 32GB memory for the 21.5-inch version. 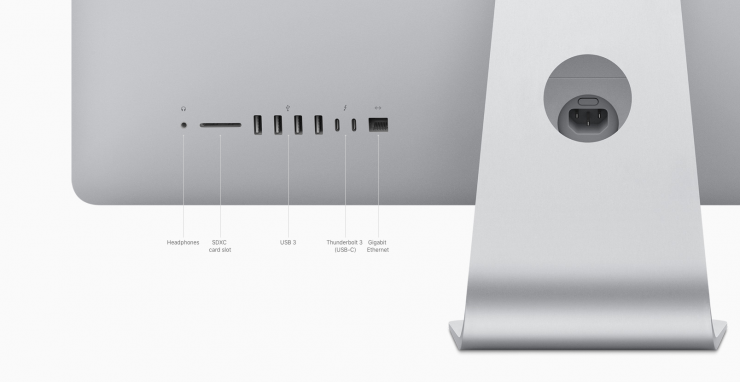 Both iMac models come with two Thunderbolt 3 (USB-C) ports, four USB 3 ports, a SDXC card slot, a headphone port, and Gigabit Ethernet connection. 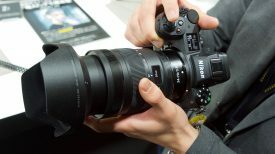 They also have Wi‑Fi and Bluetooth 4.2. The base 21.5″ iMac starts at $1,099.00 USD for the 2.3GHz Dual-Core Processor with Turbo Boost up to 3.6GHz and 1TB Fusion Drive. 3.0GHz 6-Core Processor with Turbo Boost up to 4.1GHz and 1TB Fusion Drive. 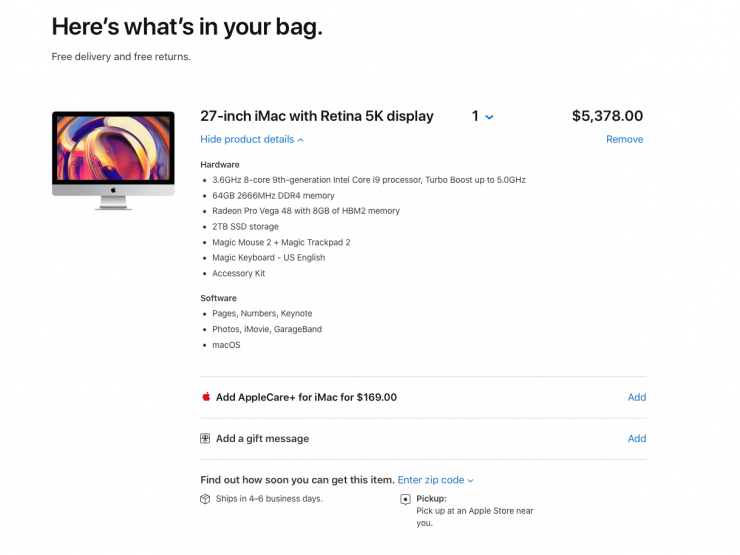 If you tick all of the boxes for a fully loaded 27-inch 5K iMac it costs $5,378.00 USD. That’s a lot of money to spend no matter how you look at it. 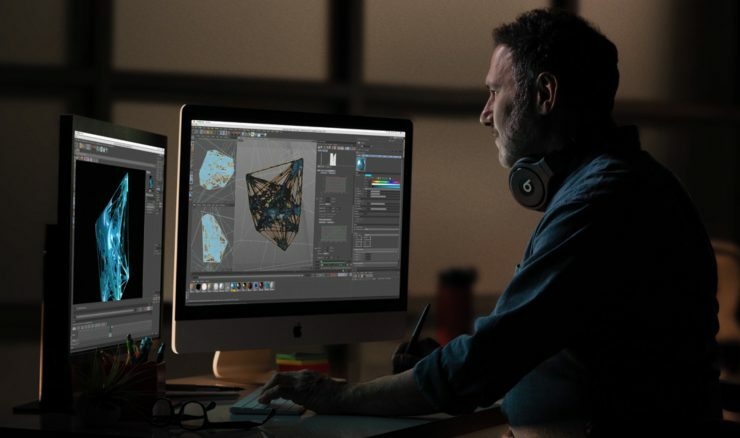 The new iMacs certainly offer a nice bump in performance, but if you are still looking for more from a Mac you are going to have to hold out for the next iteration of the Mac Pro. Would you buy one of these new iMacs? 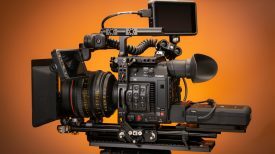 What are you currently editing and color grading your material with? We would love to hear from you in the comments section below.